As an avid gamer, there is something about seeing the popup "Achievement Unlocked" pop up on the screen when completing a task or a goal during a gaming session. With a premium subscription for Episode Calendar, the user can unlock special achievements by doing certain tasks while setting up and tracking their favorite television shows. 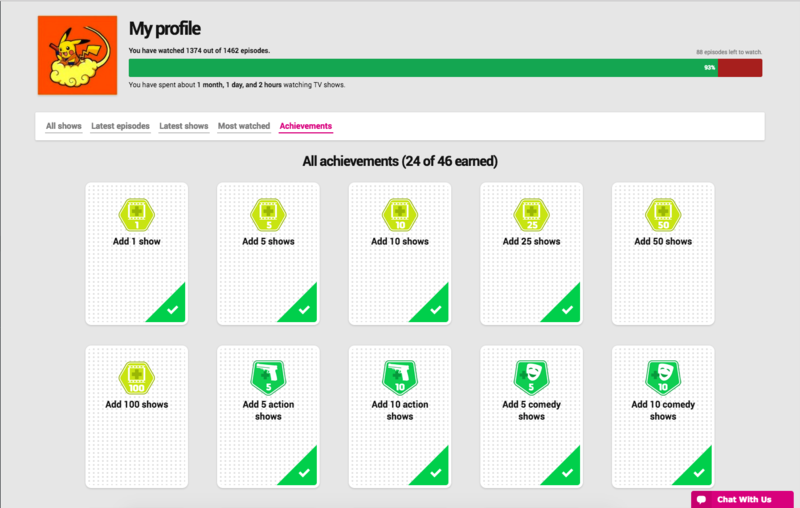 Whether this is for following 10 dramas, or marking 100 episodes of their favorite sitcom, a popup will appear when an achievement is unlocked! You can find your achievements under "My Profile" on the side panel, then clicking Achievements. There are a total of 46 medals you can earn!